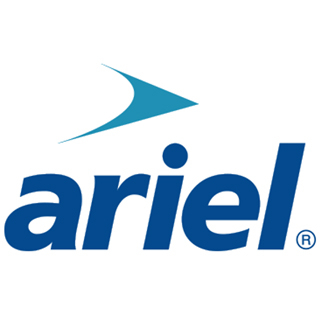 Ariel Plastics produce one of the largest ranges of sheet roofing, roofing accessories and rooflights in the country. polycarbonate, PVC, GRP and bitumen. suitable for both commercial and residential construction projects. Corrugated roofing options from Ariel are an affordable roofing solution. Sheets are available as transparent and translucent, offering a source of natural light in your sheltered construction. Ariel also offer a tough GRP sheeting called Farmlite, specially designed to suit agricultural needs. Popular for being tough and entirely resistant to moisture, bitumen sheeting from Ariel is available in a variety of colours and designs. Bitumen sheets are available as both corrugated and in a shingle-like design called Coroshingle tiles. Bitumen roofing is an ideal choice for outbuildings such as garden sheds. Glazing sheets are an excellent choice when you want to maximise the amount of natural light you let through. Ariel offers several glazing products made from high quality acrylic, for maximum durability. These sheets have good impact resistance and are a popular option for porches and entryways that want a contemporary aesthetic. Ariel also has its own metal tile system, made from high grade steel. The metal has been given a special coating of Aluminium, Zinc and Slicium for outstanding strength and durability. This roofing option is called Corotile and comes in easily installed sheets, making it perfect for small scale projects that you want to last. Another roofing sheet available from Ariel is Multiwall Polycarbonate. This functional material is tough but also very light, making it suitable for multiple applications including verandas and car port canopies. The translucent nature of the sheets lets a lot of natural light into a space and the affordable price makes it an attractive option for many home owners. visit your nearest Boys & Boden and speak with the helpful staff.